Crazy cheap flights from UK, Germany and Belgium to Romania for only €2.99! Ryanair is now selling crazy cheap flight tickets to Romania (and vice versa). 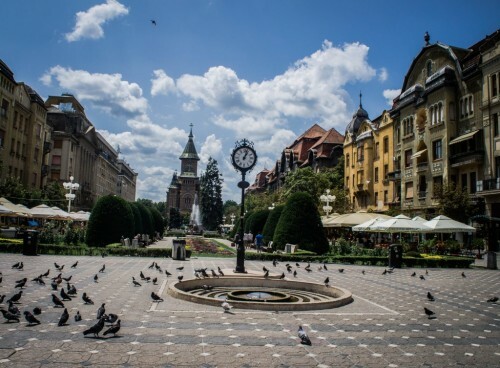 You can now book flights from London, Dusseldorf or Brussels to Timisoara in Romania for only €2.99! This means you get a return flight for less than €6! If you’ve never heard about Timisoara it’s a beautiful and calm city in West Romania in historic area of Banat. It is also a great base for trips to surrounding mountains. This crazy deal is available for travel dates in October 2016. Grab this opportunity and visit beautiful and cheap Romania for unbeatable price! 10 kg cabin luggage and one other smaller bag is included in the price. Book via Momondo or directly via Ryanair. Romania offers one of the cheapest accommodation options in whole Europe so you don’t have to worry about paying too much for a night in decent hotel. kinds of accommodation including all inclusive resorts for really low prices. You can also book cheap room through AirBnB and we give you €18 free credit for your stay! « Big Vueling sale – flights across whole Europe for €9!